For no particular reason, here’s a second helping for today of some great character building from Russia. 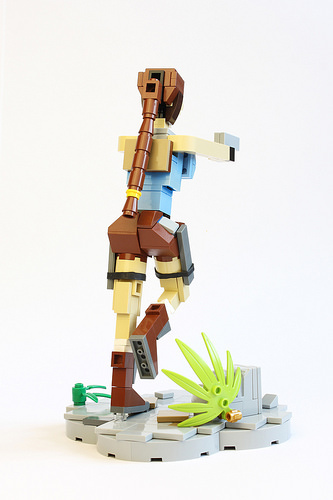 This time Dmitriy and Anna bring us this neat little model of every gamer’s favorite acerbic aristocratic adventurer, Lara Croft. 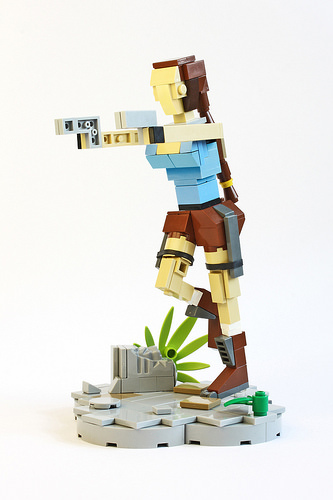 And since the original game used third person perspective, it makes perfect sense that we get the reverse shot of Ms. Croft too, for old time’s sake. Clever parts usage to produce an instantly recognisable character!